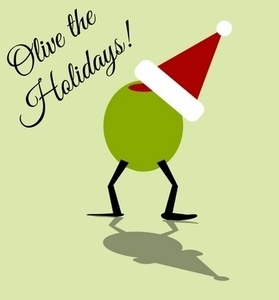 Join us for our annual Olive the Holidays Party! We will be cheering it with holiday cookies made with our olive oils and vinegars and hot cider. You can also make an olive wreath for a minimum $10 donation for the Food Bank.